Working with limited resources, the Banda Health team built on the OpenMRS platform and developed cashier and inventory modules for use in clinics and small hospitals. 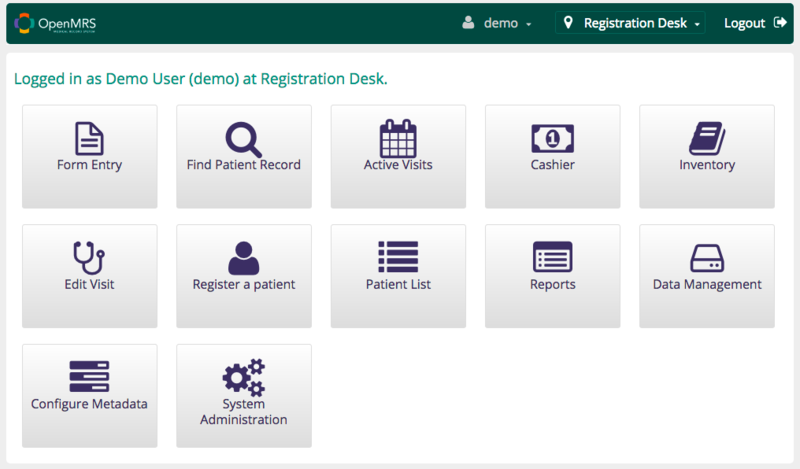 Try out Banda Health’s IT system for yourself! Our current demo includes the OpenMRS core platform + Inventory + Cashier. To log in, select “Location for Session” by clicking on one of the options listed. “Registration Desk” is a good place to start. Then click the “Log In” button (now green) and you’re in! Ready to install our OpenMRS modules? Follow these simple steps to get set up. Download and install the OpenMRS Standalone Edition. Go to the Administration – Manage Modules page. Click Add or Upgrade Module. Search for the required module. Read the Banda Health Documentation. You can also now use Docker to download a pre-configured copy of OpenMRS together with our modules and install them all at once. To do so, follow the instructions on Docker’s website here.